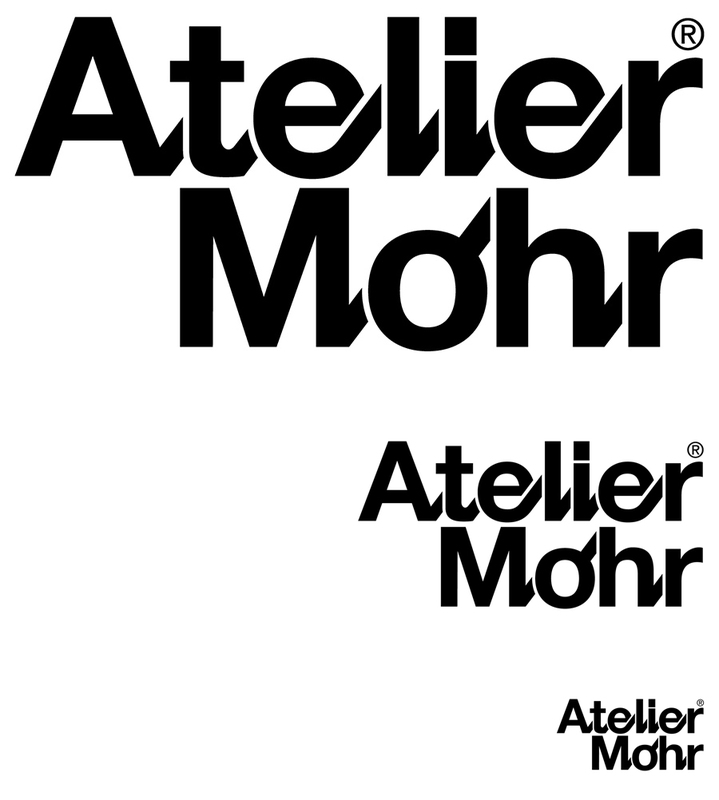 Visual identity, logo, corporate and communication design for Atelier Mohr. 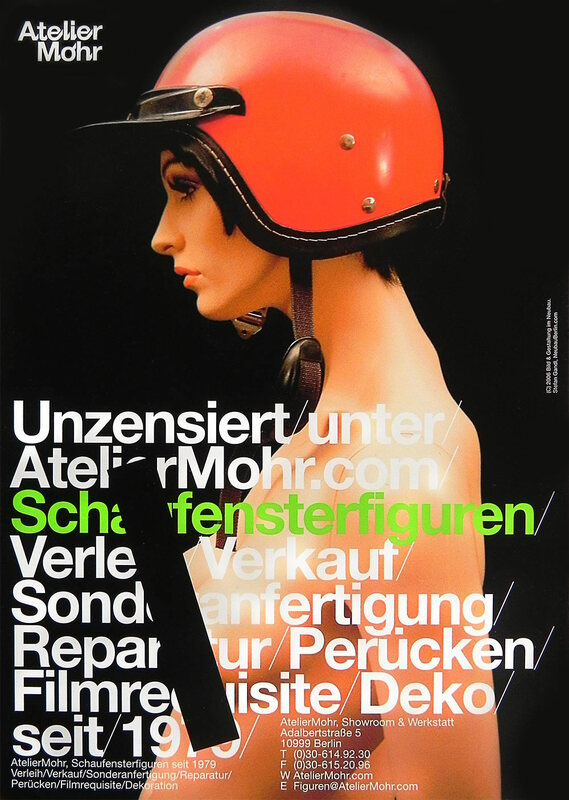 The Berlin showroom mannequin expert was originally founded in 1979. In 2002 Jan Wegener became the new owner and commissioned Neubau to design a new and contemporary visual identity. The wordmark incorporates the script characteristics of the original logo. The stencil look underligning the modular element works as a reference to the modular showroom dummies. 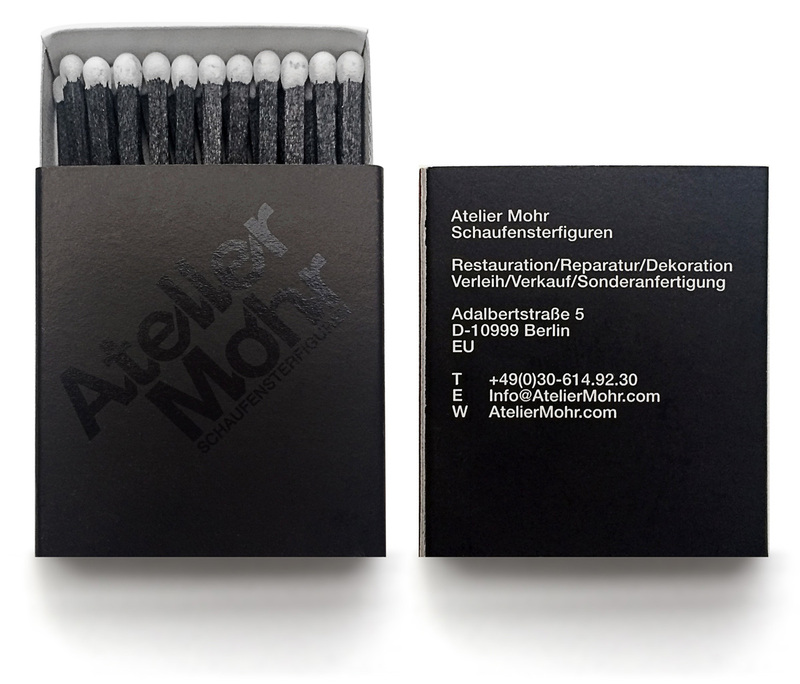 Presented here is a tiny selection of print collaterals such as match boxes (2002), a poster for a promotional clip (2005) and a set of popular AM-Flyers from 2006.